The Advisory Board (the Court & Judicial Security Examination Board) will review and approve your application for the certifications. Larry Amerson is in his fifth term as Sheriff of Calhoun County and has been in the law enforcement/public safety field for 37 years. He graduated from Jacksonville State University in 1975 where he earned a B.S. degree in law enforcement. He was hired at the Sheriff’s Office upon graduation. His 14-year career as a Deputy included working in the jail, as a patrol Deputy and Investigator. In 1988 he was hired to be Administrator of Calhoun County’s new Enhanced 9-1-1 system. In 1994 he became a candidate for Sheriff and campaigned on a platform of improving and modernizing all operations of the Sheriff’s Office. After being elected, he guided his staff through an agency-wide improvement process. Patrol operations, investigations, jail operations, training and records were completely evaluated and upgraded. Sheriff Amerson has served as President of the Alabama Sheriff’s Association and Board member with the National Sheriff’s Association. He is currently 1st Vice President and will become President in June 2012. He serves as the Chairman of the NSI, Education and Training Committee, Vice Chairman of the Court Security Committee, a member of the Pegasus Advisory Board, the Endorsements/Marketing Committee and Ethics, Standards and Accreditation Committee. He is a graduate of the National Sheriffs Institute and has served as a mentor for another class. He served eight years as a member of the National Law Enforcement and Correctional Technology Center-Southeast Advisory Committee, working groups and is a past member of the F.B.I. Criminal Justice Information System’s Southern Working Group. He was on the state and local law enforcement advisory council of the Federal Law Enforcement Training Center and has been an instructor for the Law Enforcement Response to Terrorism at the Center for Domestic Preparedness. He is a long-standing member of the Alabama Mutual Aid Task Force Committee. He is a strong advocate for improving technology for all law enforcement agencies and advancing information sharing efforts. Under Sheriff Amerson’s leadership, his office has made it a policy to share information with other local law enforcement agencies to improve crime-fighting efforts. He intends to focus his efforts as President of NSA working to make NSA the premier source for high quality jail officer training and seeking new ways to share information among all law enforcement agencies. 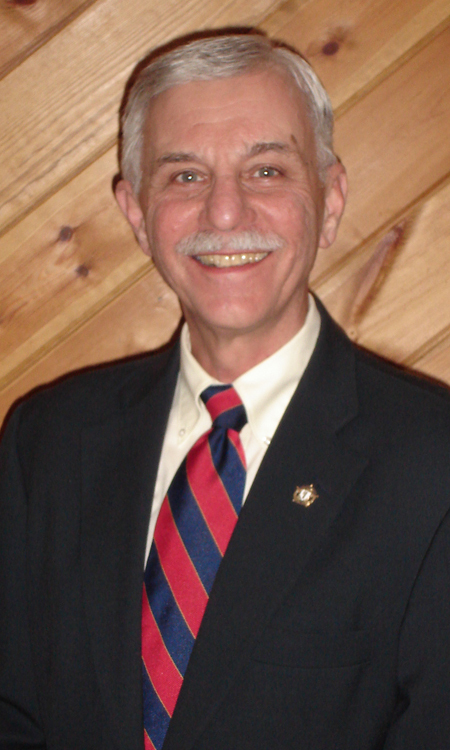 Sheriff Zaruba began his career at the Sheriff’s Office in 1974 working in virtually every area of the office, including law enforcement, corrections, court security, planning and research, internal affairs and accreditation. He served as Undersheriff from 1989 until April of 1997 when he was appointed as DuPage County Sheriff. He was elected as Sheriff in November 1998, 2002, 2006 and 2010. Sheriff Zaruba has brought many innovative programs to DuPage County. As an advocate for crime victims, he has focused on combating domestic violence by implementing programs to protect the victims of this and other violent crimes. His commitment to problem solving policing is demonstrated by his organization of a special unit focused on developing long-term relationships with county residents. He has provided new services such as the Guardian, Cell Link, and First Step Programs to address the needs of senior citizens, families and youth. Sheriff Zaruba’s partnerships with municipal police departments have resulted in several county-wide initiatives to fight gang crime and illegal drugs, and his implementation of cost saving programs in the jail have saved taxpayers millions of dollars. Sheriff Zaruba is also a leader in Homeland Security serving as the co-chairman of Region 4 of the Illinois Alarm Systems Board (ILEAS), is the past President of the National Sheriff’s Association and is the current president of the Illinois Sheriffs’ Association. Tom had a career in the New York State Courts spanning over 35 years. Eighteen of those years were spent as the Chief Court Officer for the 10th Judicial District, Suffolk County. His command exceeded 300 officers and included 12 court locations. In 2002 Tom was appointed the District Executive for the same jurisdiction and in this capacity oversaw all court operations including security. He held this position until his retirement in November of 2010. Mr. Lorito is a member of the NSA Court Security Training and Assessment Team, a Senior Consultant with the Community Safety Institute, a member of the Mid-Atlantic Association for Court Management Professional Development Committee and Advisory Board and a member of the National Association for Court Management. His educational background includes a Bachelor’s Degree from the University of Massachusetts and a Master’s Degree from Long Island University. He attained the rank of Major in the U.S. Army Military Police Corps. 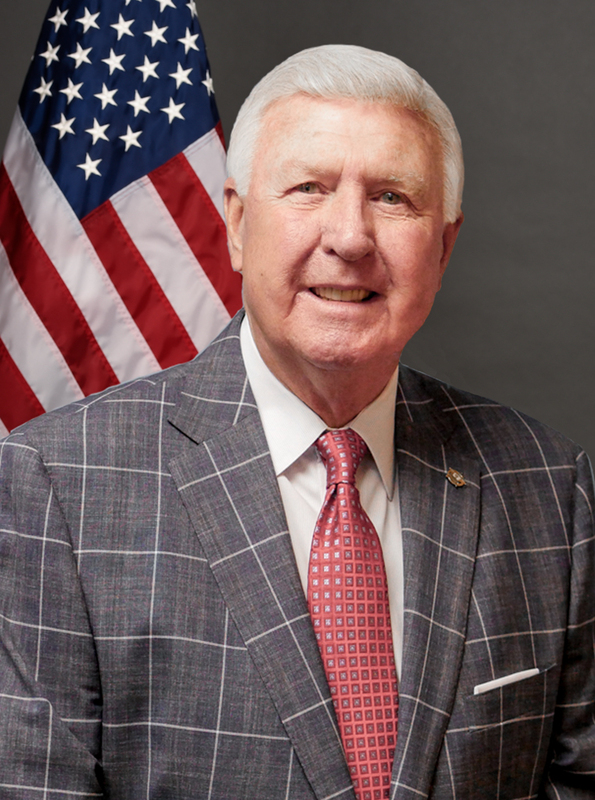 Johnny Mack Brown defeated the incumbent Sheriff of Greenville County, SC in 1976 and took immediate steps to reorganize and modernize the Sheriff’s Office as a service-oriented agency. It was during this transition that Sheriff Brown obtained his Master’s Degree in Criminal Justice from the University of South Carolina. In 1983, Sheriff Brown was selected as President of the South Carolina Sheriffs’ Association and its “Sheriff of the Year.” In 1984, he became a member of the NSA Board of Directors. The Greenville County Sheriff’s Office received the NSA’s coveted J. Stannard Baker Traffic Safety award in 1985 for its efforts to enforce traffic laws on rural roadways. In 1988, the Greenville County Sheriff’s Office became the first in South Carolina to be accredited by the Commission On Accreditation For Law Enforcement Agencies, Inc. 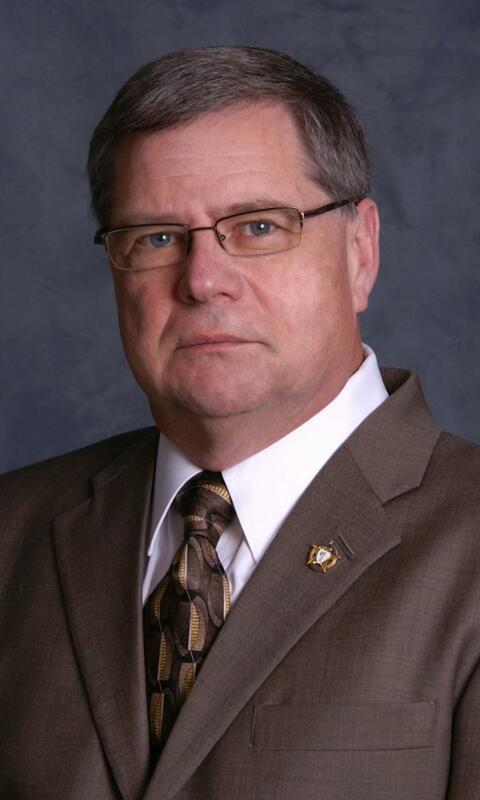 The following year, Sheriff Brown was appointed to a three-year term as part of the 21-member Commission and continues to be an outspoken proponent of professional standards for law enforcement agencies. Sheriff Brown was inducted as President of the National Sheriffs’ Association in June 1993 and was honored to represent the nation’s Sheriffs for the year. On January 3, 2001, after twenty-four consecutive years, Johnny Mack Brown retired as Sheriff but his law enforcement career was far from over. On November 15, 2002, President George W. Bush appointed him as United States Marshal of the District of South Carolina where he continued to serve the citizens of South Carolina with accountable law enforcement leadership until April 2010 when the position was re-appointed by President Obama. As President and CEO of JMB of the Upstate, Johnny Mack Brown continues to serve as a law enforcement consultant who strives for positive change. His final objective will always remain the same – the best in professional and accountable law enforcement for every member of every community. Jim started his career with the Peoria County, Illinois Sheriff’s Office in 1985 as a Civil Process Officer, advanced to correctional officer, was promoted from officer to Sergeant, then Deputy Correctional Superintendent at the Peoria County Correctional Facility. In 1991 he was appointed as Court Security Civil Process Administrator, assuming the duties as the Sheriff’s liaison and was responsible for all security operations at the Peoria County Courthouse. In addition to the security of the courthouse and the surrounding block his responsibilities included personnel selection, supervision, budgeting, strategic planning, public relations, developing safety training for courthouse employees, and presenting training seminars on workplace violence, employee response to hostage situations, and new employee orientation for all Peoria County employees. During his twenty-two years at the Peoria County Courthouse physical security was increased, service to the public was recognized by the Judiciary and his leadership brought staff recognition in the forms of many letters of appreciation from the public, employees, legal community, and members of the County Board. Camera surveillance was tripled, video storage moved from VHS tape to digital recording, and was moving to IP computer storage at the time of his retirement. Civil Process was computerized; resulting in the updating, via computer, of all civil process served by the officers while in their units and providing computer access by customers for tracking of their papers. 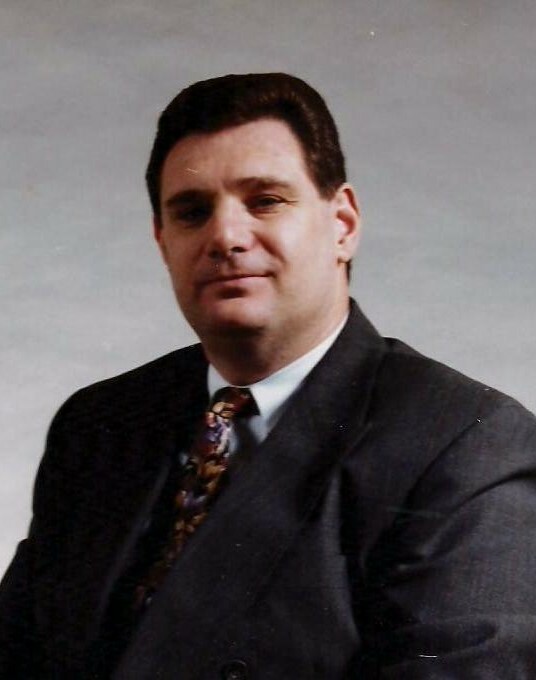 Jim continued to study throughout his career, majoring in Management at the University of Illinois Springfield and accumulating over thirteen hundred hours of additional training in security, management, and motivation of staff. He is a Senior Consultant and Instructor with the National Sheriffs’ Association and a member of NSA’s Court Security Training and Assessment Team; Court Security, Transportation of Prisoners & Civil Process Committee; and Education & Awards Committee. He was a charter member and served on the Board of Directors of the International Association of Court Officers and Services. As an instructor for the NSA he has been conducting court security training and audits since 2003. This has included on-site programs throughout the country and at NSA Annual Conferences. Jim’s involvement within his community throughout his life includes holding office in the Kiwanis Club, Peoria County Association of Chiefs of Police, Peoria County Sheriff’s Posse, and membership in ASIS, the American Jail Association, and Life member of the National Sheriffs’ Association. In retirement Jim continues to serve his church and community. 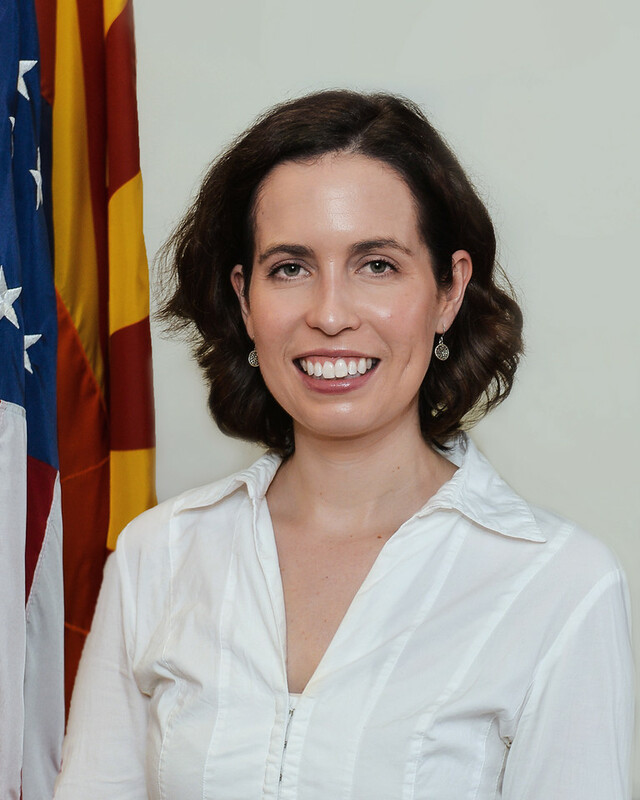 An NSA employee since January 2005, Ms. Burgess has served in multiple capacities, including training, program management, events management, database management, marketing, and membership. She has been involved with NSA’s Court Security services throughout her career at NSA. She has a B.A. in Communication Studies from Westmont College in Santa Barbara, California as well as being certified to administer the Myers-Briggs Type Indicator. She began her professional career in events management and marketing in the retail industry before relocating to Virginia.